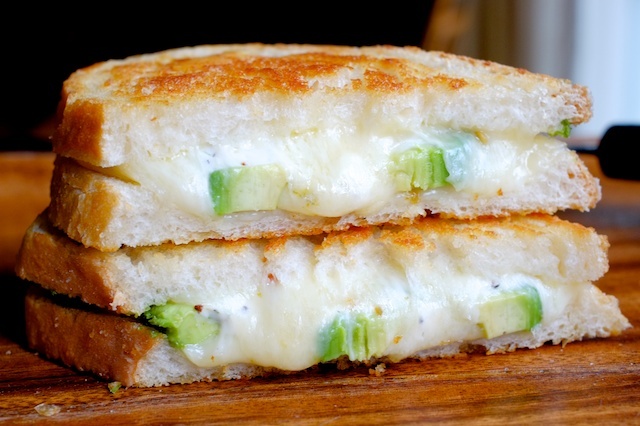 April is National Grilled Cheese Month! 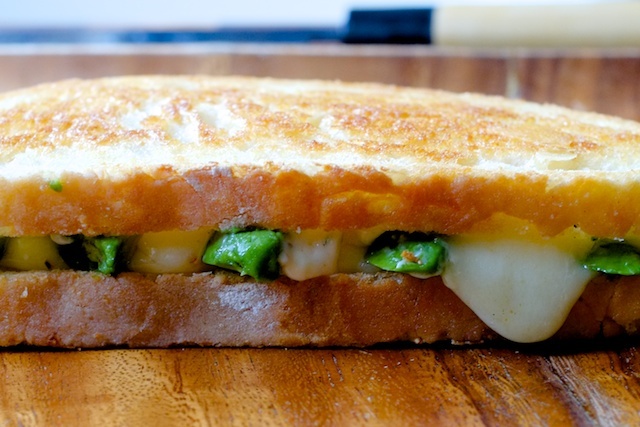 Which is almost over, but it’s not like you need a lot of notice to throw together a grilled cheese. Especially when you understand how to do it up right. What’s to understand, you say? 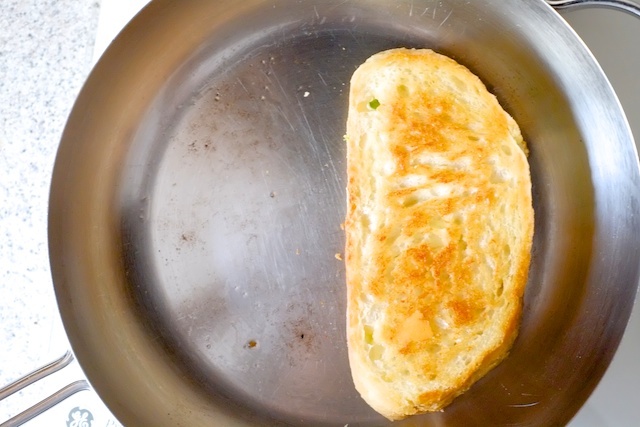 Cheese and bread and a pan, right? 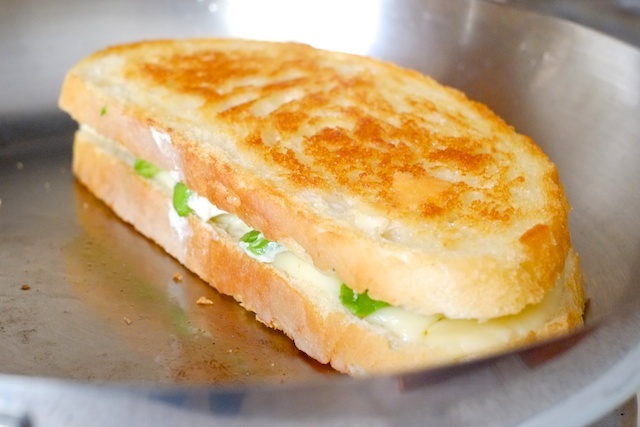 There’s really not much more to it, but a few easily-overlooked tweaks can take an average grilled cheese and make it mind-blowing. Which it kind of needs to be if you’re going to justify eating one. Tip #1 – Add condiments. You don’t need a lot. 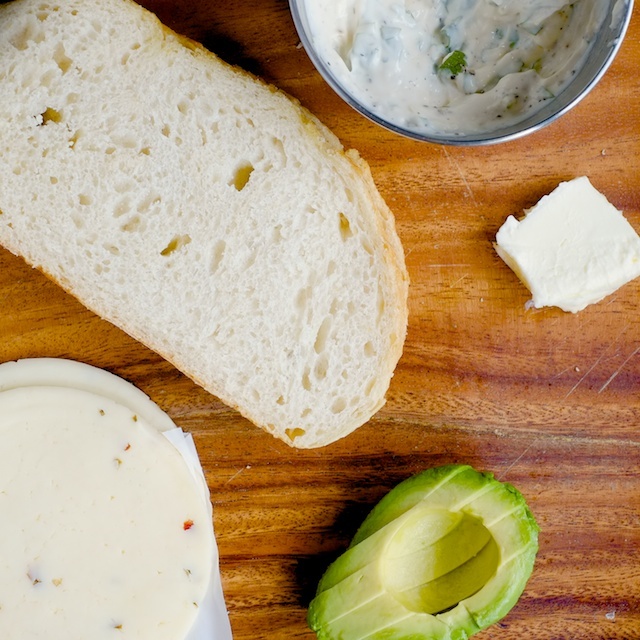 Just a little accent to add some complexity to an otherwise straightforward (sometimes simplistic) sandwich. Think of it as a little pairing. Mayo or mustard (or both) get along famously with cheddar. Brie loves honey, and you almost can’t taste how awesome swiss is without a tiny bit of ham. 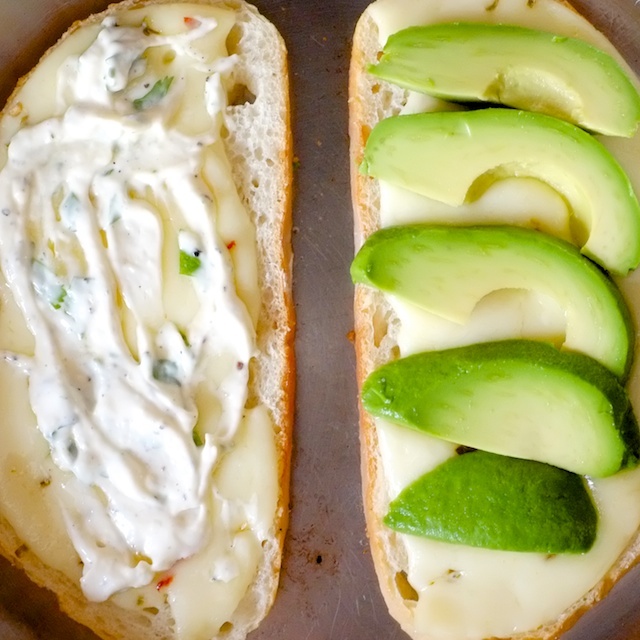 Here I made a little garlic-cilantro mayo to go on my avocado pepperjack sandwich – you see I’ve got a theme going. 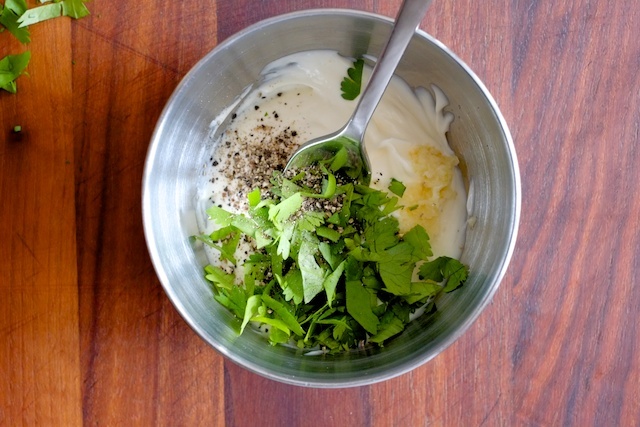 Just a few tablespoons of mayo, some chopped cilantro, pepper, and about a half a clove of grated garlic. 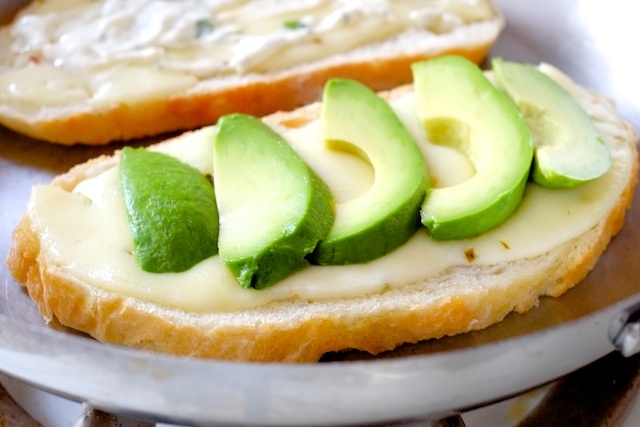 Nothing to it, but it adds flavor and tang that brings out the richness of the avocado and keeps the melted cheese from getting rubbery as it cools. Tip #2 – Cook your sandwich on medium-low heat. I know you’re anxious to eat, but there’s nothing worse than a burned grilled cheese that’s cold inside. 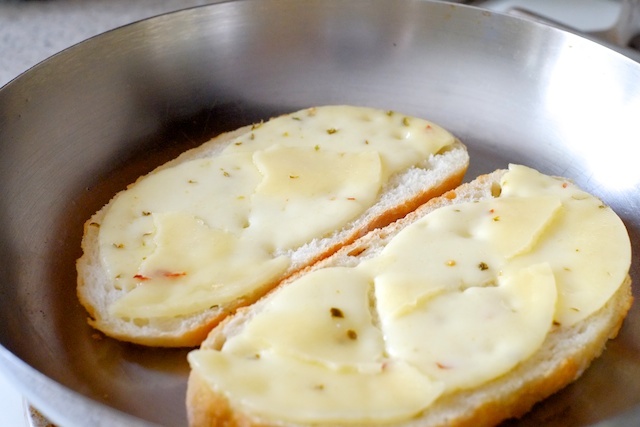 Especially if you’re using mild fillings like swiss or mozzarella. The burned flavor totally overpowers everything else you’ve got going on. Low and slow. If you remember nothing else, remember: low and slow. It is worth it. Tip #3 – Grill your sandwich open. 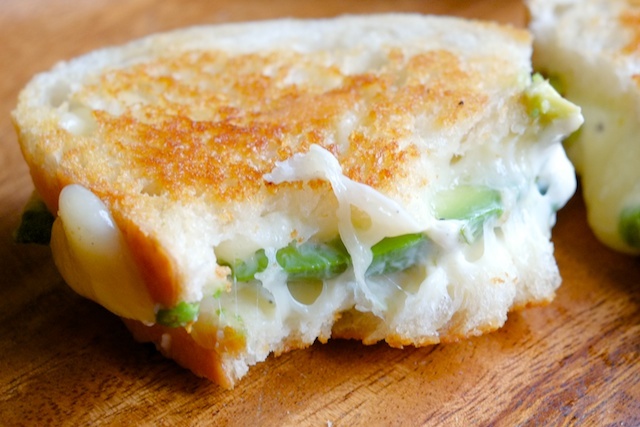 It makes guessing when the cheese is melted a lot less…guessy. Tip #4 – Add fillings at the right time. 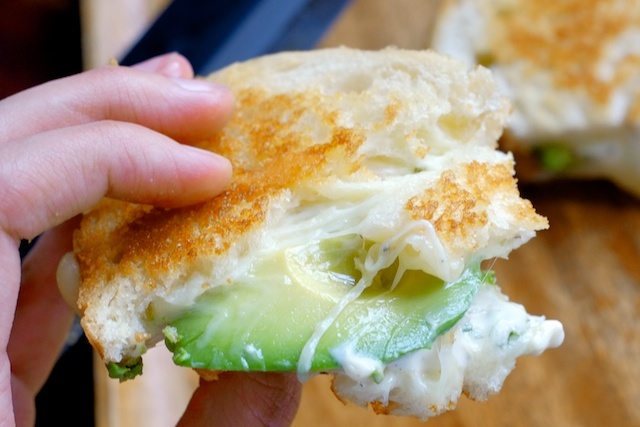 Here, for example, I waited until the cheese was completely melted before I added the avocado – which tends to get mushy with extended exposure to heat. Another classic topping to add late: tomato slices – because they are watery and retain heat and will basically destroy your mouth if you let them get too hot. There’s really nothing else to know. Mash the sides together, let them get friendly.